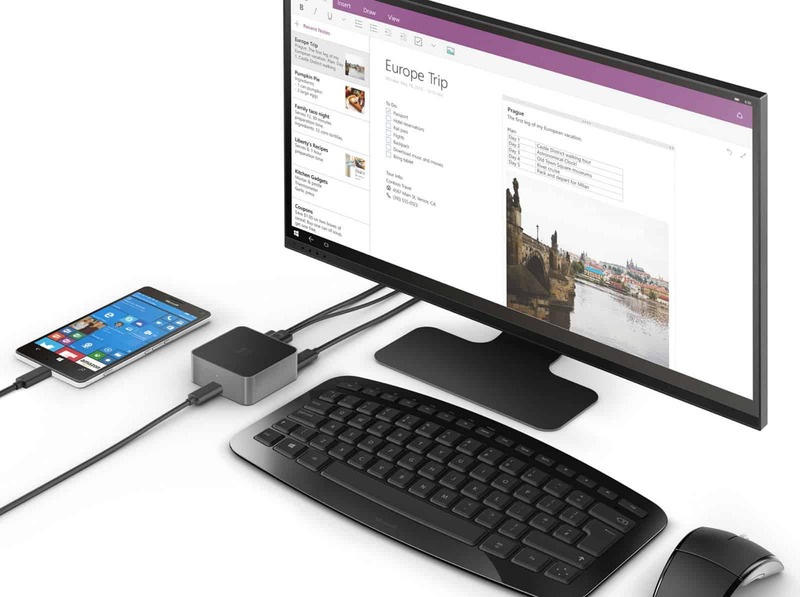 Microsoft introduced Continuum for Windows 10 Mobile recently on its Windows 10 devices Event held on October 6th, 2015 at New York. Along with Continuum for phone, Microsoft also launched few other devices such as Microsoft Band, HoloLens, Lumia 950 and Lumia 950 XL, the much hyped and powerful Surface Pro 4 and the unexpected Surface Book. Continuum was launched along with Windows 10 for desktop, but this time it’s somewhat different because this time it is for the phone too. Continuum for phone lets you have a desktop like experience just by connecting your phone with an external display, a keyboard and a mouse using Microsoft Display Dock which was also launched along with Continuum. The dock has ports for connecting the external display and 3 USB ports for your accessories like mouse, keyboard and the third port may be used for operating a flash drive. On the other side, it has a USB Type-C micro USB port where you need to connect your phone via data cable and you are all ready for having desktop like experience which is being powered by your phone. One of the most useful feature is that using Continuum for phone doesn’t hamper your mobile experience, you can simultaneously use your phone as desktop and also as a mobile. When you click the Start button on the desktop you can see your usual tiles that you have on your phone currently. You can use this desktop to read and reply mails,edit documents, copy files and almost everything that you can do in your Windows 10 Desktop. Also all the regular keyboard shortcuts can also be used like CTRL+C for copying data. Actually there is no drawback of this feature except that you can’t use snap view like you do on your phone which means you can’t use multiple apps when using Continuum for phone. In fact you can only run two apps at a time while using Continuum: one at the desktop and one in your phone. This is what Microsoft is known for. It is such a great feature that is supposed to have in every phone. It works best for you when you need to do your work & you are away from your desktop.